My “about” page is a never-ending evolution. Tails by the Sea began as a dog-blog in 2014. It has since evolved into a space where I write about and display my creative endeavors, expanding beyond my dog to include two cats and lots of photography. My photos often are the inspiration for what I am going to write about. I have one dog and two tabby cats. Kona, an Australian Shepherd mix, was adopted from a rescue group based out of San Diego, California, called Second Chance Dog Rescue. I was told that this gorgeous boy was pulled out of a high-kill shelter the day he was scheduled to be euthanized. He’s a huge part of my life, and my companion on many photo shoots. Too distracted by the explosions to notice he has kittens in his tail. What am I? I’m just a dog who loves his human. Woof! Pumpkin and Scout, also known as double-trouble, are two cats I “surprised” my husband with one day by bringing them home in a cardboard box when they were about five weeks old. Who can resist two kittens in a box? To sum it up, dogs, cats, and photography are what make me happy. Feel free to drop me a line and let me know what you think, or just say hi. Hi Lori. Thank you for visiting and following HoB. Much appreciated! You are very welcome! I thoroughly enjoy your beautiful site (Mr. Bowie is quite photogenic) and look forward to seeing more posts. Hi Noodle! Woof Woof Woof!!! 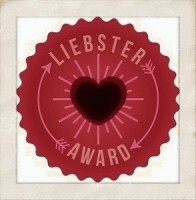 I am so honored and excited that you nominated ME for a blog award! I will be completing the questions very soon (my human has been super busy but she’s going to sit down and help me with this very very soon, as long as my two dumb little meow meow brothers don’t get in the way). Hi Oscar!!!!! I’m so excited to meet you! I just found out that Noodles nominated my blog for an award that you had nominated his blog for as well. I’m looking forward to reading more about you. Woof! Thank you for visiting my blog. It looks like you have a lot more sunshine where you live than we currently do in New York. I hope you are okay living with that cat. Frankly, I don’t know you put up with them. Thanks Albert! It has been pretty warm here at home, but I do wish I could run in the snow more often. Can you believe I live with TWO cats?!? Two?? You surely deserve some kind of medal for that. What bee-you-ti-ful eyes you have! ARrOOOOO from Stuart. Nice to know you! Awww, shucks, Stuart. Thanks so much. Mommy says I probably get my natural eyeliner from my Siberian Husky cousins. Thank you for starting to follow our blog. We, my husband, me and Kosmo, our cat, are also animal enthusiasts and our hobby is photography. Plant-based cooking is very familiar to us, we are able to find our food without killing animals.